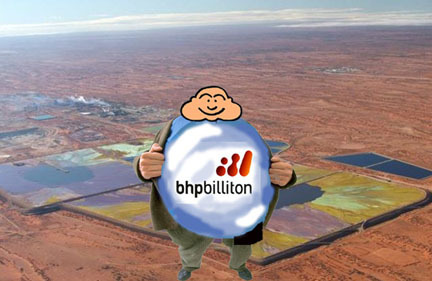 Negotiations are now in advanced stages to give BHP Billiton the go–ahead to turn its existing operation some 560km (350 miles) north of Adelaide into the world’s biggest open cast mine. The plans mark the “Apollo programme of mining ventures”, in the words of Tom Koutsantonis, South Australia’s mining minister, who, unsurprisingly, describes his resource–rich state as “unashamedly” pro the mining industry. Nonetheless, it is a lengthy process as BHP lines up all the necessary government approvals before taking the project to its board next year. Then, when the expansion finally starts, the company is expected to drill 24 hours a day for seven years to reach the ore body itself. The miner has not offered any figures on the costs, but analysts’ estimates are well into tens of billions of dollars.